The City of Keller Public Arts welcomes Kael Alford, Photojournalist and documentary photographer to Keller Public Library, 640 Johnson Road, Keller 76248; Saturday, April 13, 2019; 2 to 4 pm. 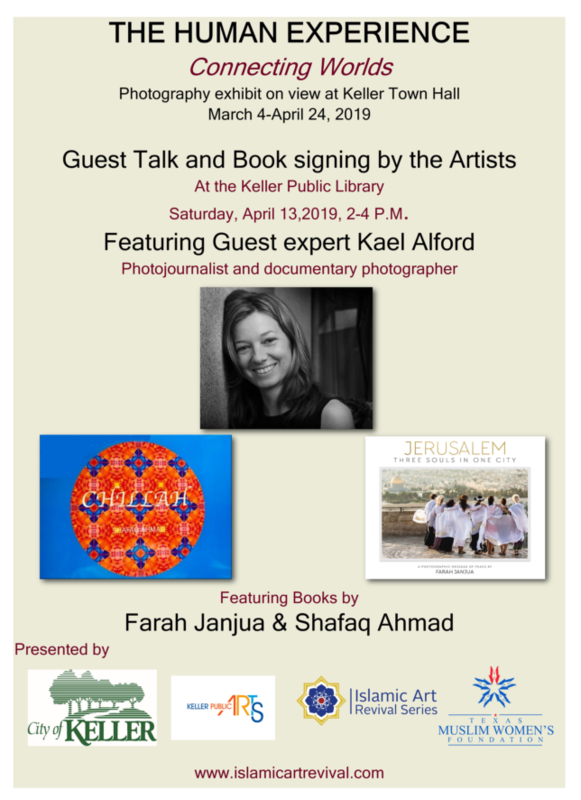 Join Ms. Alford for a group discussion.. Islamic Art Revival Series and The Texas Muslim Women’s Foundations photojournalists Shafaq Ahmad, “Challah” and Farah Janjua, “Jerusalem” will be on hand to sign copies of their books. For more information contact www.islamicartrevival.com or the Keller Library at 817-743-4840. All are welcome to this free event.